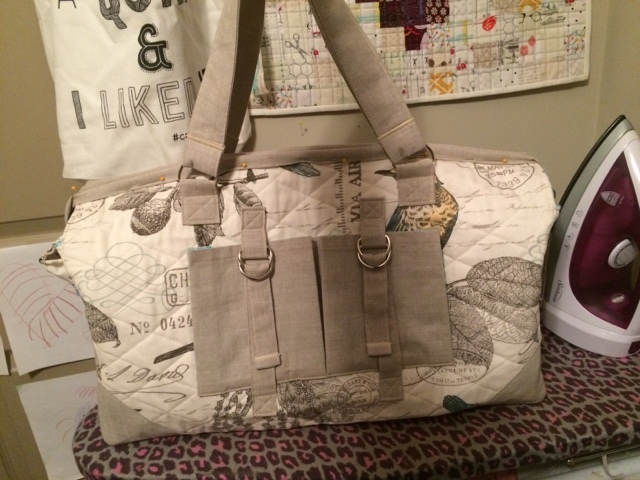 Recently, I released my first "official" published pattern, The Betsy Travel Bag, which you probably already know. Right around all of this excitement, I was making a bunch of these bags, including one that I donated as a prize for The Stash Bash. 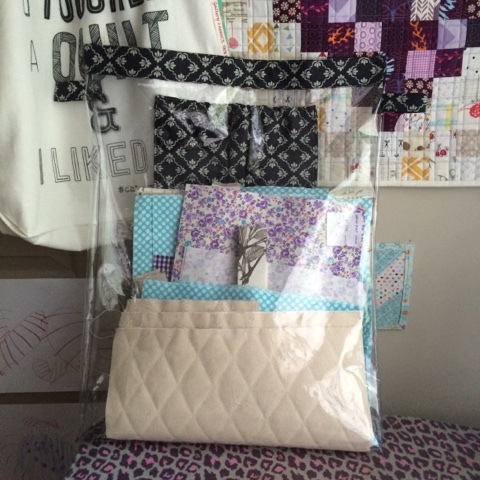 The thing is, Betsy has a lot of pieces and fabrics so I wanted a way to keep it organized and easily accessible. So, I made a vinyl pouch. 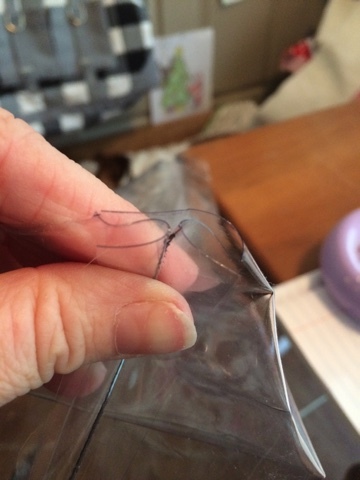 I picked up a one yard remnant of 8mm clear vinyl at JoAnn's during one of my MANY trips for zippers, thread, interfacing etc. When I got home, I sat down and turned out three pouches in about an hour and a half. Pretty impressive, right? 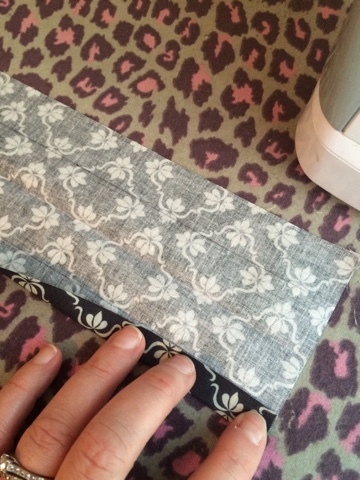 These pouches are fast, easy and so darn satisfying. If you're headed to a retreat, you have to make one (or five!) of these pouches. 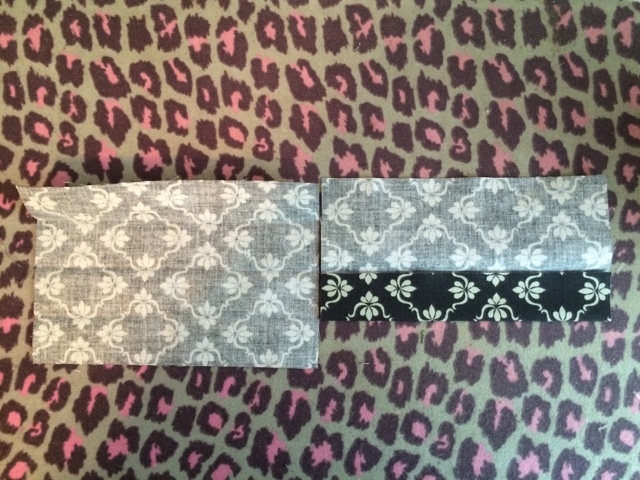 With wrong sides together, fold pouch tops together, matching long edges; press. Unfold tops. 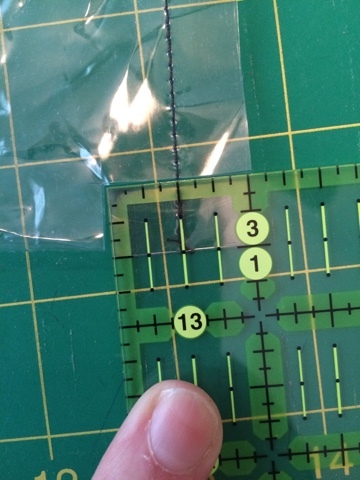 Using a fabric marker and a grid ruler, measure and mark 1" along both long edges. 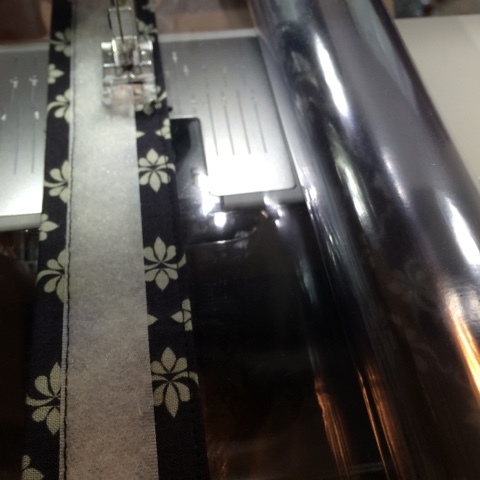 Turn raw edge to marked line and press. Repeat for the other side and remaining pouch top. 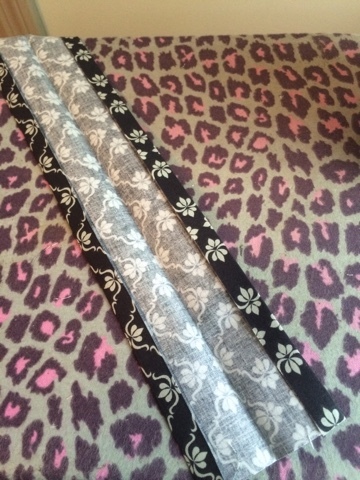 Refold top along the center crease. 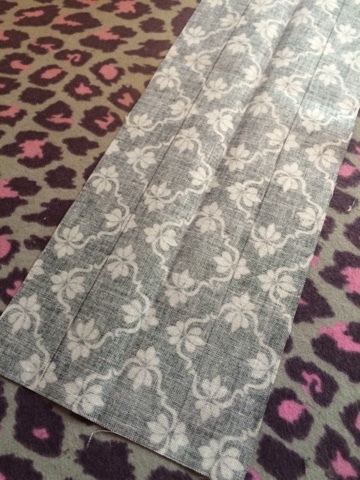 Find the center of the tops and the 18" side of both pouch pieces; finger press or place a pin at center. 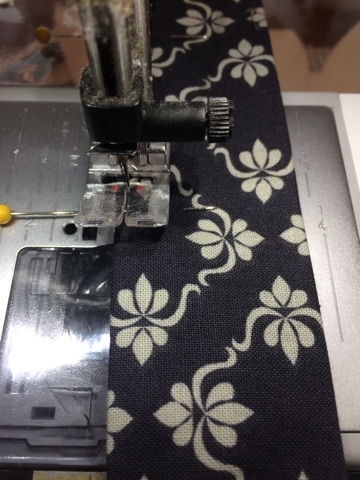 Unfold the pouch top and place it on your work surface. Align the centers of vinyl with top carefully fold the top over, making sure the vinyl is pushed up all the way inside the crease. Edgestitch about 1/8" from finished edge of pouch top. 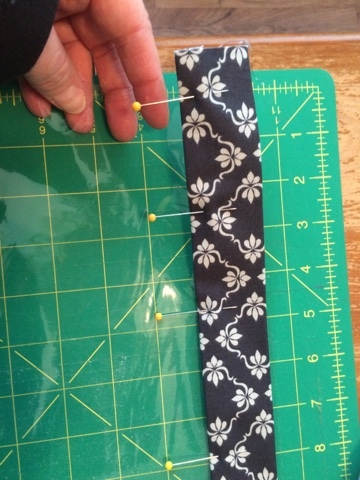 Measure in about 3/4" from both edges of the pocket top, make a mark with a pin or fabric marker. Align the end of one of the Velcro pieces on this line, Edgestitch in place. 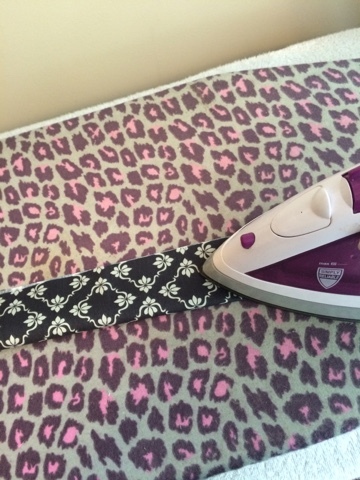 To make the tabs, you will be doing what I call "the fold and fold" technique. 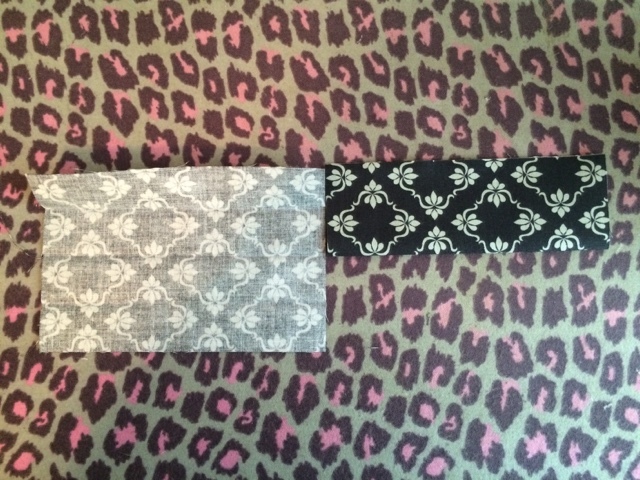 Basically, with wrong sides together, fold and press along the center, having raw edges of long sides matched. 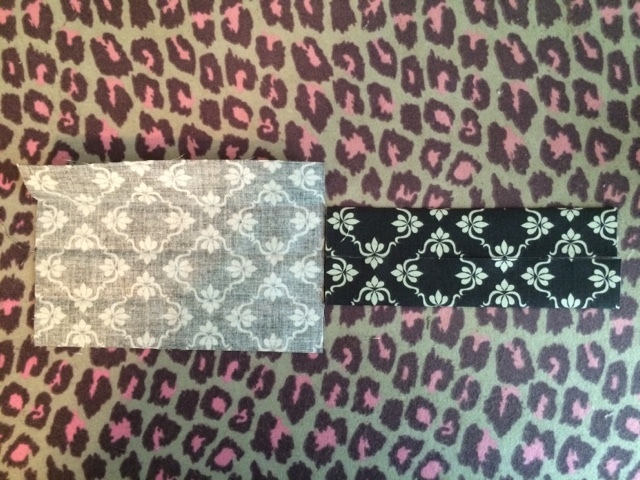 Unfold the tab, align one long edge along the center crease; press. Repeat for the second edge. Refold along the center line; press. Edgestitch both long sides of the tab about 1/8" from edge. Fold the tab, matching short edges and cut in half (not shown, in the photos above, I cut the tab in half to demonstrate the fold and fold technique) Set tabs aside. With right sides together, stitch pocket all the way around all four sides, leaving a 3" opening at the bottom for turning. 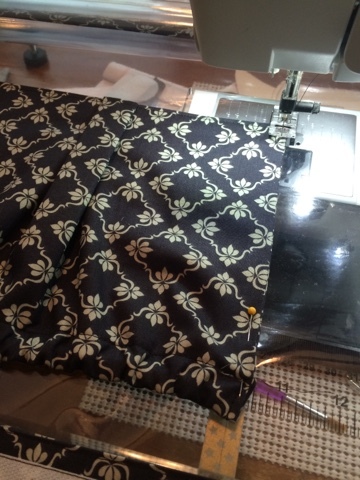 Be sure to backstitch on both sides of opening! 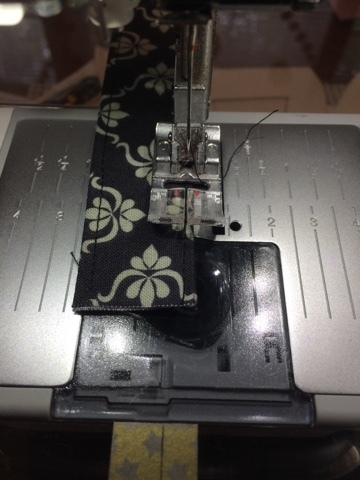 Clip the corners, turn pocket right side out; press. 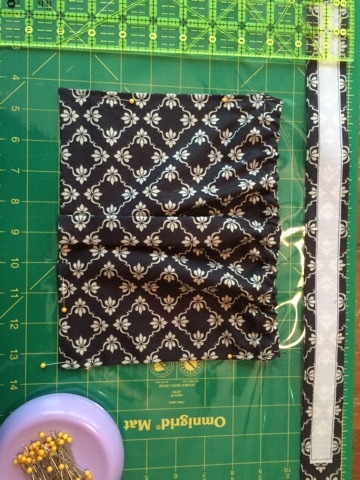 Lay pocket lining side up, using a grid ruler, measure 1 1/2" along top edge of pocket, draw a line. 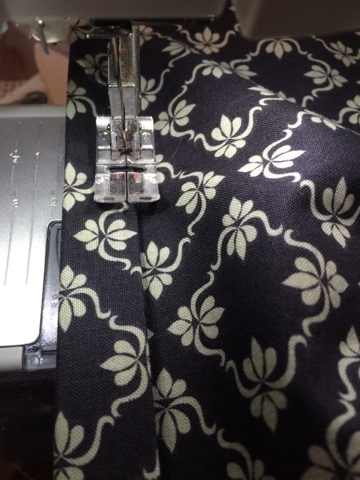 Turn top edge of pocket to meet the line; press. Edgestitch in place, making sure to backstitch on both sides. Don't sew the sides shut! Only sew along the edge of the pocket top (along the drawn line). 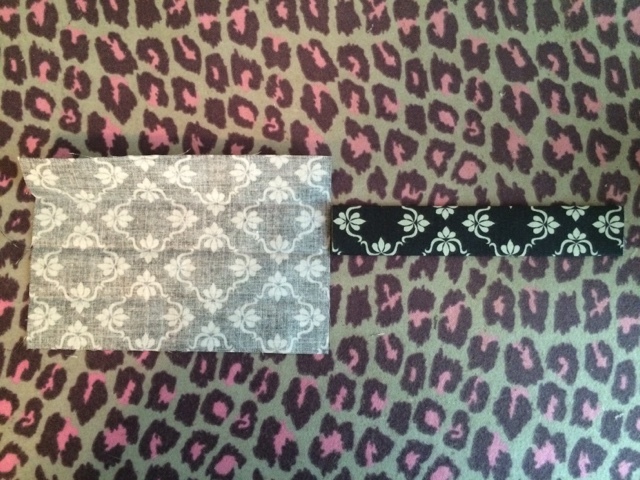 With lining sides together, fold pocket in half, matching the short sides. 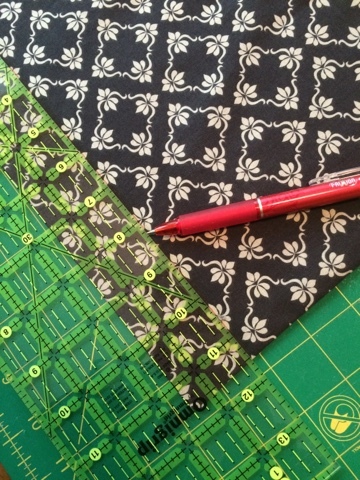 Draw a 1" line parallel to center fold; stitch along this line, making sure to backstitch. 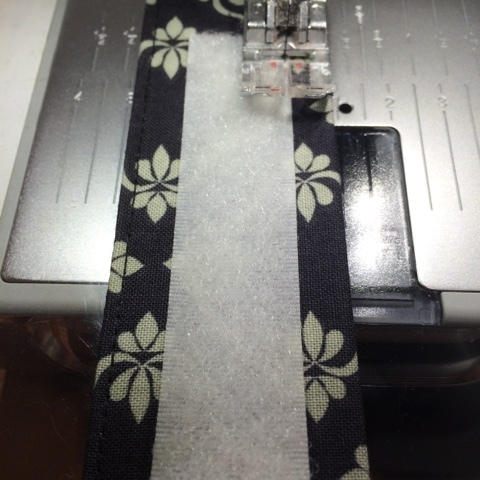 Align the center line along the seam line; press. 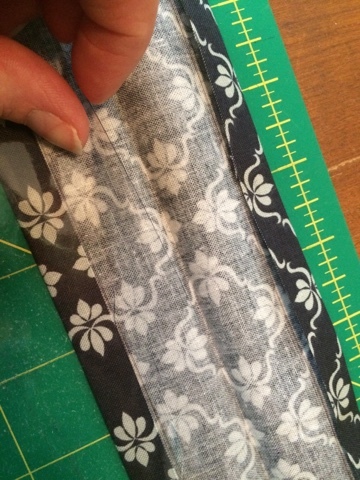 Insert elastic into opening of the pocket top; stitch in place on both sides. 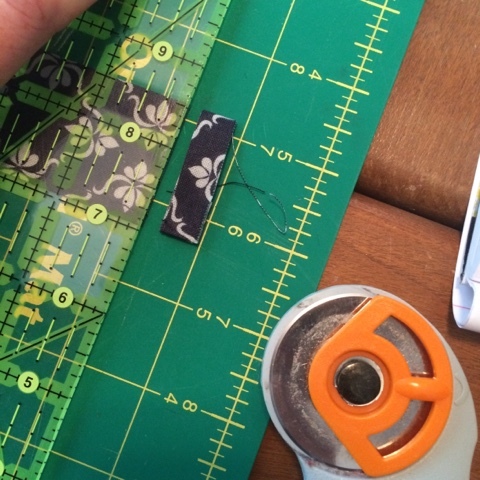 Using your cutting mat as a guide, lay the pocket, lining side down, 2 1/2" down from top of pocket along the INSIDE of one vinyl piece, making sure centers are matched. 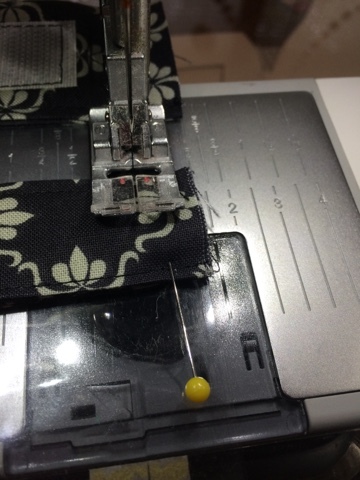 Pin in place along stitch line (see photo for pin placement. I pinned it this way to hide the pinholes better.) Edgestitch in place, remembering to backstitch, of course. Place right sides of vinyl pieces together. 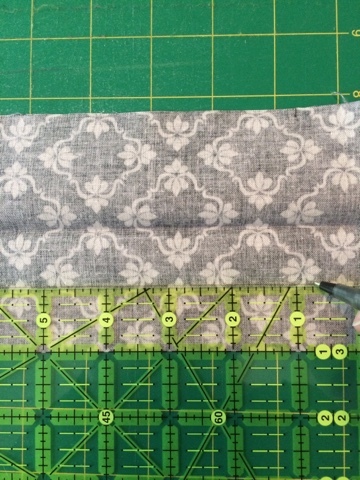 Measure down about 3/4" from bottom edge of pouch top, fold tab in half (matching short edges) and insert between vinyl pieces. (The raw edges should match up with sides of pouch.) 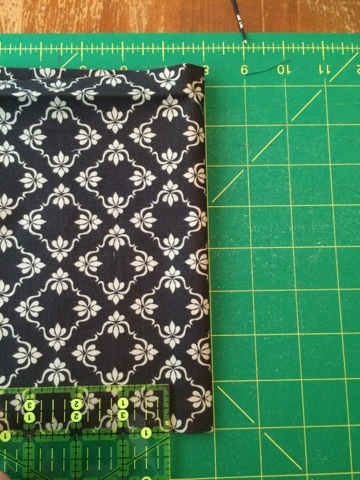 It will be difficult to pin these layers together, so consider using a binder or clover clip for this part; stitch sides and you know the drill...use a backstitch. Now, let's box the corners. 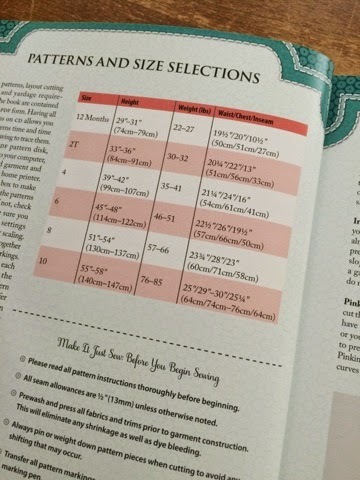 Using your grid ruler, measure 1/2" up from bottom at fold and 1/2" in from the seam allowance at the side. It's going to look off balance, but trust me, this is correct. Use a ball point pin to mark these lines. Cut the squares out with a sharp pair of scissors. 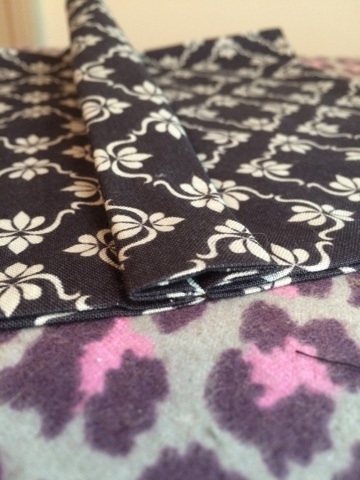 Open out the pouch bottom, match the seam with the bottom center; stitch. Backstitch, you got it. Carefully turn the pouch right side out. It's going to be challenging because the vinyl is stiff and tends to stick to itself. Don't worry about wrinkling the vinyl, there's not much you can do about it anyway. All you can do is tell yourself that it's going to get wrinkles during use anyway, right? Now, step back and enjoy your handy work. You just made that! 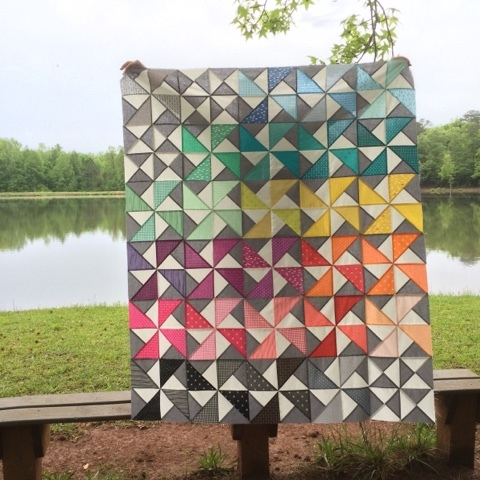 Think of how organized you're going to be at your guild meeting/sewing retreat/friend's house! 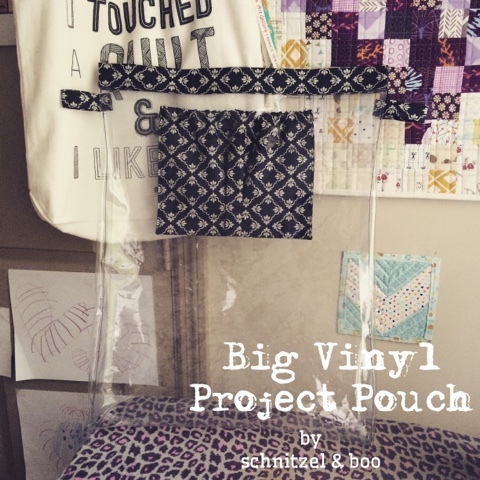 Heck, these don't have to be exclusive for quilting/sewing/crafting projects! 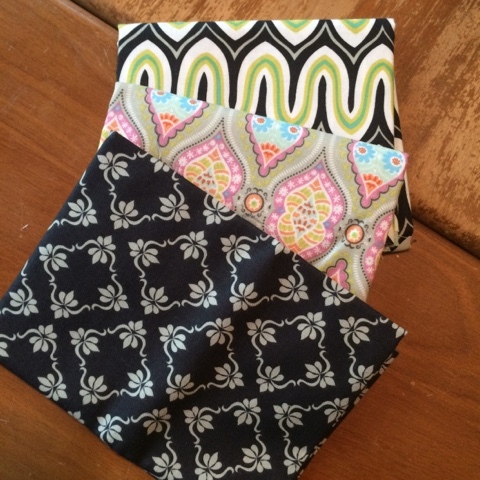 Use them as an overnight bag for the kiddos or as a beach bag for soggy swimsuits. Just don't forget to unpack them, huh? 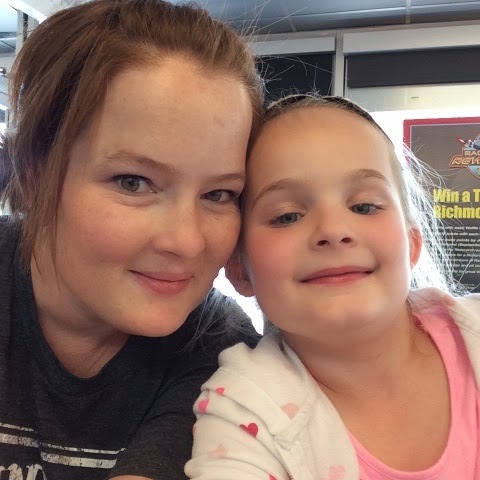 My teeny tiny newborn baby girl graduates from kindergarten in three weeks. How is that possible? 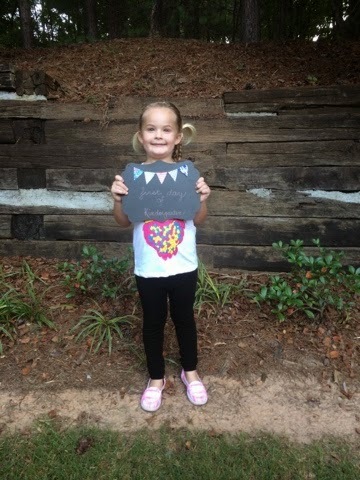 It seems like her first day of kindergarten was either three days or three years ago! On Friday, May 8, she has a graduates party to attend. A parents-drop-your-kid-and-run type of thing. It's at her school, they have a party instead of a graduation ceremony. The thing is, my husband works every night but Monday so it'll just be me at home. All by myself. 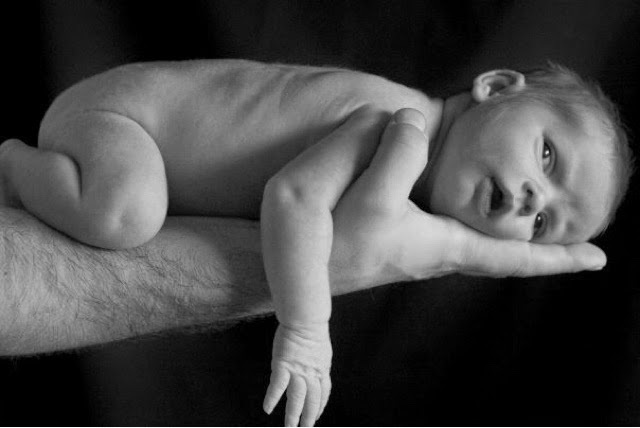 From 7:00-10:00 in the evening. What the heck am I going to do with myself? I guess I better sew the little graduate a new dress for her last day of school, right? 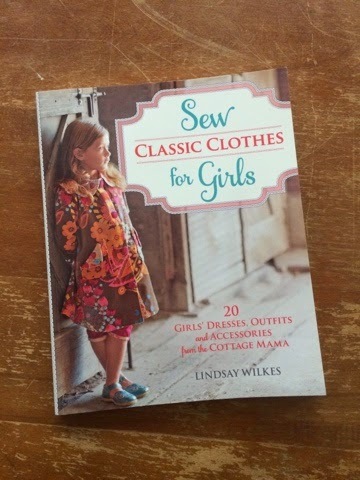 How perfect that another book should land in my mailbox, especially since that new book is The Cottage Mama's new one, Sew Classic Clothes for Girls. 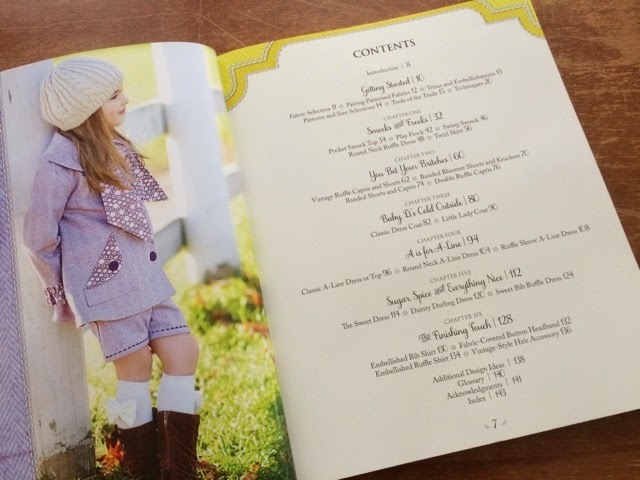 There are 20 different things to make in this book and six adorable chapters full of all the details and tricks on how to do it. Roo loves pockets, she's always putting something in her pockets (flowers, bark mulch from the playground, empty balloons). When she doesn't have pockets, she sticks these things-even the bark mulch-in her shoes. 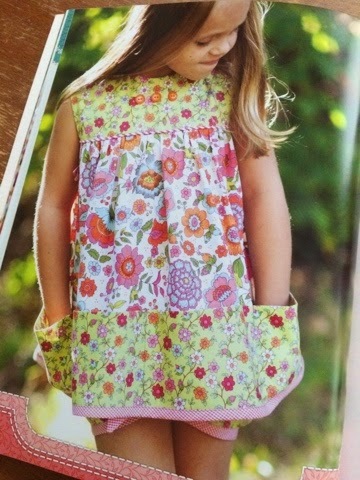 That little smock top practically has her name all over it! I'm not sure if she would wear those pants, but oh my heck aren't they cute? 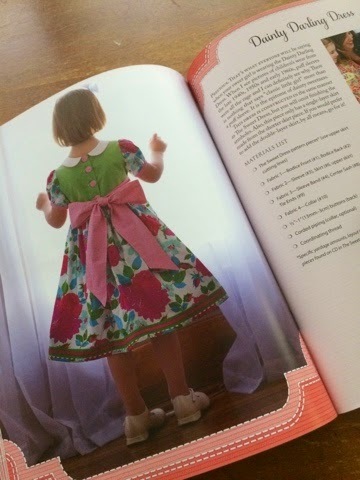 I do know that she would wear the Dainty Darling Dress, and that may be the one I end up making. Isn't it precious with its puff sleeves, buttons and big old-timey bow? I love all of Lindsay's designs. She really knows how to keep a little girl modest yet modern! 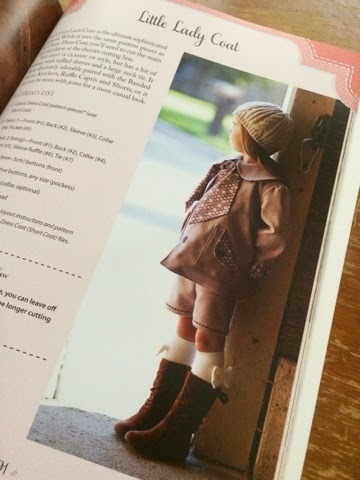 Maybe when Roo starts back up in school as a first grader I'll make the above outfit, isn't it adorable? 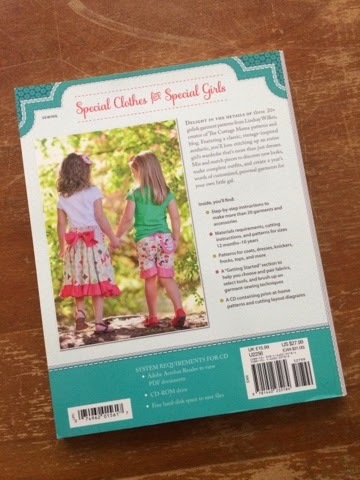 If you have a little girl in your life, you should consider purchasing this book. 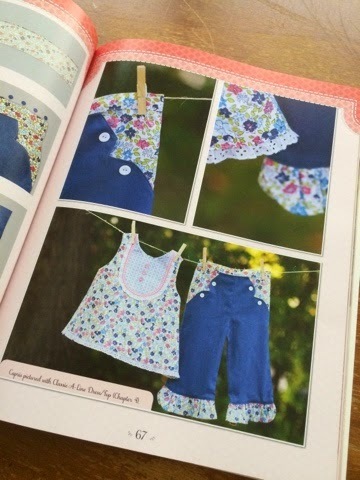 All of the designs are so sweet, and so precious, just the way we think of our little girls, right?